February 2015 Pisces Horoscope predictions foretell that you will be on the center stage as planetary strength is in the Eastern sector towards the descendant sign. You have to decide your path and objectives right now and follow it up independently. Things will definitely happen. Pisces, February 2015 is time to focus on your career and leave family and love life behind for the time being. You can also take a look at the 2015 Chinese horoscopes. The Pisces February 2015 career forecasts predict major transformations in the work environment which will be beneficial for your growth. Power conflicts are likely in your career, both in job and business. There is probability of change of job during the month. The Pisces financial horoscope for February 2015 points to a powerful month. Your career will be the main contributor to your kitty. Do not ignore your personal life while chasing financial success. Save money today for the rainy day. 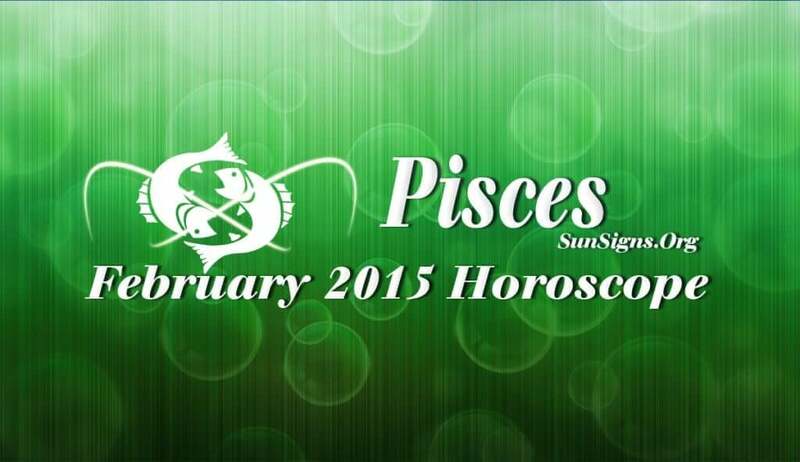 Family environment will get better for the Pisces zodiac sign during February 2015. All problems will get resolved with passage of time. You will get divine assistance and you have to just follow the directions. Love is chasing you this month. Challenges in existing relationships are possible. You can decide the status of your relationship during the last week of the month. This is an excellent time for the Pisceans to plan for a child as you have good chances of getting pregnant. Health will be dicey during February 2015 with ups and downs. The February 2015 Pisces horoscope warns you to take care of your fitness by exercising and maintaining an ideal weight.